FMCSA regulations evolve constantly. With drivers always on the road, it can be tough to get them quickly up-to-speed on new policies. When drivers are not informed - it has a ripple effect on the entire business. The CSA scores start to drop off - due to violations of a number of parameters that make up the BASIC (Behavior Analysis and Safety Improvement Category) framework. As an aftereffect, the insurance premiums skyrocket. And that’s not all. Customers have become cautious about choosing carriers with strong safety records, knowledgeable dispatchers and experienced, safe drivers to transport their cargo - so companies are having to go above and beyond the safety training a top priority. To guarantee good outcomes for your business and your drivers - here is a 5-step process we recommend for refreshing your drivers’ knowledge on safety policies. Sending a news blast to all makes you no different from a media house. However, as the management of a trucking firm, it is your responsibility to alert drivers who are impacted by it. If there’s a small change in an existing policy that applies only to army veterans in your driver fleet, have a mechanism in place to send it only to them. If you send personalised alerts to concerned drivers, you are more likely to get an acknowledgement from their end. If there’s a ruling that’s as pervasive as HOS regulation and it comes with a lot of legalese - it is your job to ensure that your drivers understand the nitty-gritties thoroughly. But, for the current driver demographic, where the average age is between 45 and 50, learning something new takes time. To ensure that it sticks, share short bytes of relevant information, stripped of all the jargons. Share it a visual format, so you immediately increase its chances of being seen and retained in their memory. Informing your drivers is just 25% of the work. Making sure it is implemented is the most important aspect. It is inefficient to carve out a new process every time there’s been a new ruling. You should have a repeatable, robust process in place, which makes implementation easier with time. 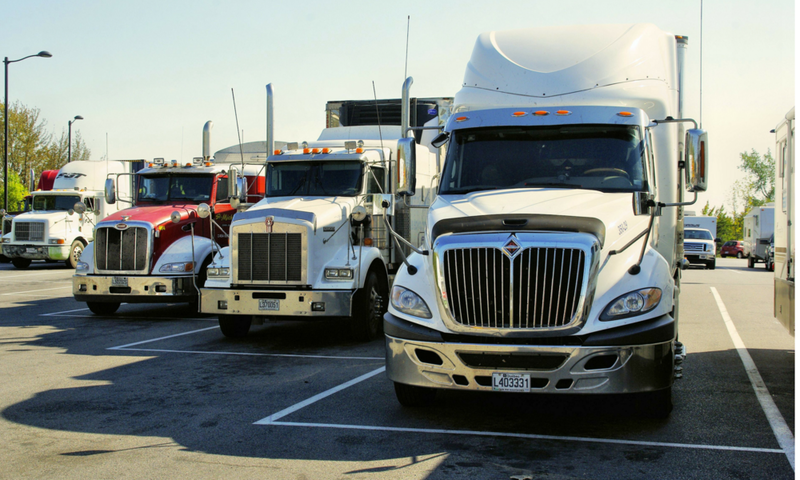 Trucking firms that work with us save several hours a day simply by setting up a robust reporting process. Have a common checklist/ to-do list for any new rule. This checklist should be used to enforce and reinforce new aspects of the existing rule. If there’s a part of the ruling that directly affects the drivers, then rest assured that your implementation will be near 100%. But most companies make the mistake of not effectively relaying this information. A news circular rarely does the job. However, using a format that questions and corrects their previously held belief has proven to be more effective with our trucking customers. That’s because a quiz actively informs them if they’re wrong, and congratulates them if they’re right. Make it compulsory for drivers, and you’ll see competitive spirits enthuse them further to find out more about this ruling for any upcoming quizzes. A win-win scenario for both the safety team and the driver. Over a period of 1-2 weeks, you can expect your drivers to be familiar with the detailed aspects of the rule that they need to know. Consider the job of a dam engineer - people remember him/her only when the dam is about to fail and flood the vicinity. We don’t to make the same mistake for our drivers, do we? What’s the incentive for drivers to even listen to the latest safety policies that matter, if no one recognises them for it? When drivers ace a roadside inspection that pertains to a new ruling, give them the praise they deserve. It does not have to be monetary - it has to be genuine. That’s all. Not only are non-compliance penalties steep for companies and drivers but compliance with local, state and federal regulations are part of the foundation of transportation companies’ safety programs. To ensure compliance is met - Find a platform that approaches safety holistically. That contextualizes the past while informing about the future. That makes safety a team effort, and makes dissemination and implementation of new policies, a breeze. Noticeboard works with you to set up the process, track progress and identify those that need attention. It does all aspects of the 5-step process and then, some more. If you want to see it for yourself, please reach out at sales@noticeboard.tech.